A user in ProProfs is someone that can log in and author help pages, administer the application, add content, and more. What actions ProProfs users can perform depends on their role. People who read your documentation logged-out (such as your customers) are called end users. ProProfs does not have a user management system for your end users. Instead, you can use your authentication/login system via Single Sign-On (SSO) to authenticate your end users. 1. 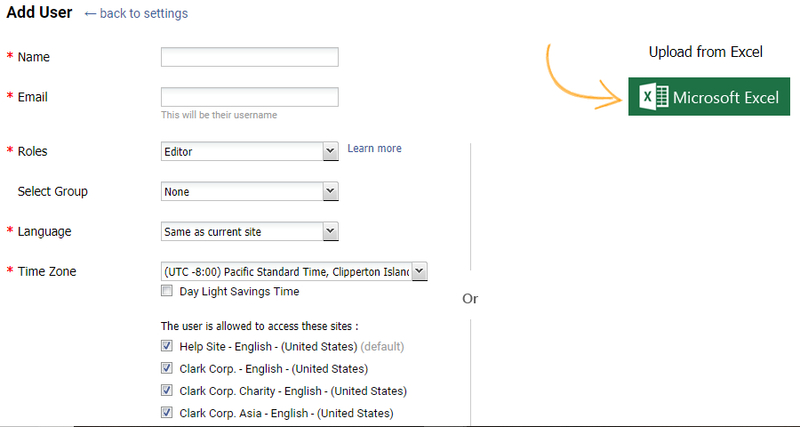 Log in to your Knowledge base administrator account and navigate to "Settings" -----> "Users." Click "+ New User" button to add a new user. 2. Enter user details in the new user form, or you can select to import user details via excel sheets. Assign roles, groups and site access. Click "Create" at the end of the form to add the user. 1. Click any user's name from the list to edit their profile. 2. The user profile will load up- similar to the new user form, with additional option to change the password for that user. 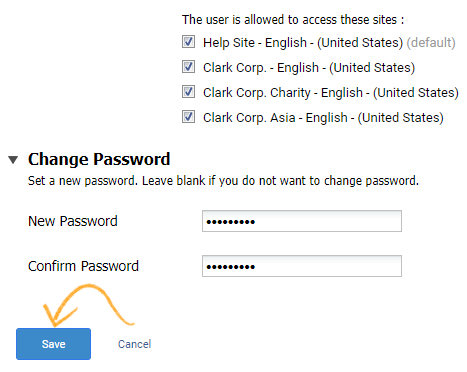 Make the necessary changes and click "Save" to secure the changes. To delete a user, click the "Delete" button for that user in the 'all users' list. A pop-up, seeking confirmation will appear, select "Yes" to delete the user. To make a user inactive, click the Inactive button for that user in the 'all users' list. A pop-up, seeking confirmation will appear, select "Yes" to make the user inactive.